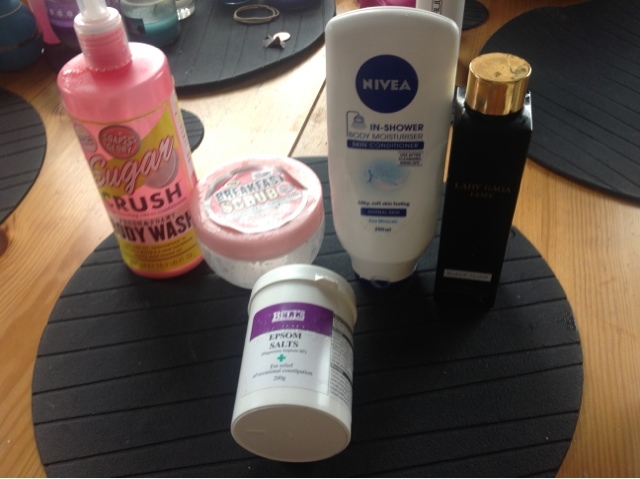 Today I think I have collected enough empty products to do my 1st empty s blog woop woop. Paul Mitchell Awapuhi shampoo 300ml £9.25 from http://www.lookfantastic.com I think this shampoo was ok. I will always be honest in my blogs this just was not special. The smell is very weird it reminds me of like a seaweedy beachy smell. This really didn't make any improvements to my hair. I wouldn't repurchase. 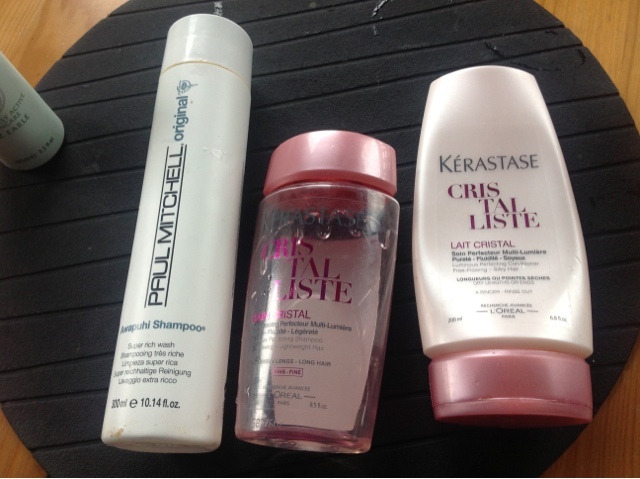 Kerastase cristalliste shampoo and conditioner for long fine hair £11.92 & £14.07 again this was bought from look fantastic. Soap and glory sugar crush body wash £6.50 for 500mls. Now I have to say I bought this as I loved the smell of the scrub with the same name. This did not disappoint. The smell is heavenly and delicious I really want to eat this! I no I no I can't :(. This foams really well and I always feel really clean! Plus this is such a big size it lasts forever. I have already repurchased this. Soap and glory the breakfast scrub £8.00 for 300ml. My mum bought me this she has a soap and glory hoarding problem. So when I go home it's like Christmas! I would love to find a porridge that tasted as good as this smells. Its like yummy caramel oats to me. This lasts ages. I try to use a scrub once or twist a week. 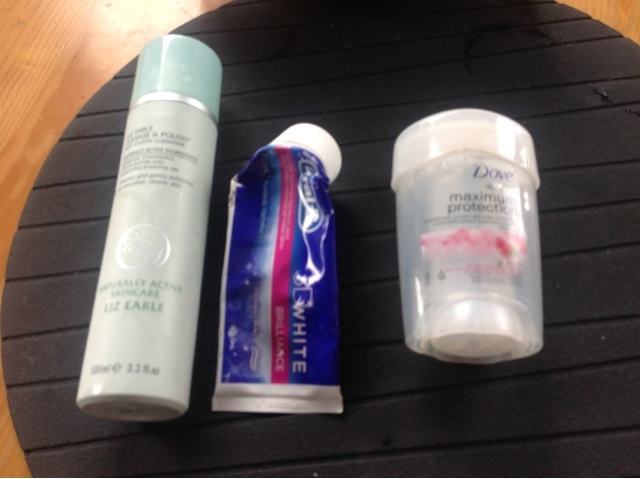 I liked this one as it was really grainy and I felt my skin so smooth after each use. I love this product. I will repurchase this for as long as they make it. Nivea in shower body moisturiser £3.55 at superdrug 250ml. I was taken in by the advertising of this. Me sheep no! Ok yeah I am an advertisers dream. I use oils and have done for years. I didn't find this good at all. I get the concept but it didn't work for me. I want rebuy. Lady gaga shower gel this came in a Christmas gift set. The reason I still had this is it annoyed me so much I really loved the perfume but this was black and think body wash which seemed to stain everything it touched. I don't know if its just me but my white shower was covered in this black mess. Epson salts 300g for £2.59 from chemist direct. I like to have this in my bath as I really think this helps my ache and pains after a good work out. I have already bought a big bag from eBay. Liz earle hot cloth cleanser.£14.45 This has been reviewed to death and u have to admit I love this too as it melts away even the most stubborn make up. Oral b 3d whitening £1.49 at boots ( half price) this is my fave toothpaste. I love the taste so minty and clean feeling and I have noticed my teeth are whiter! 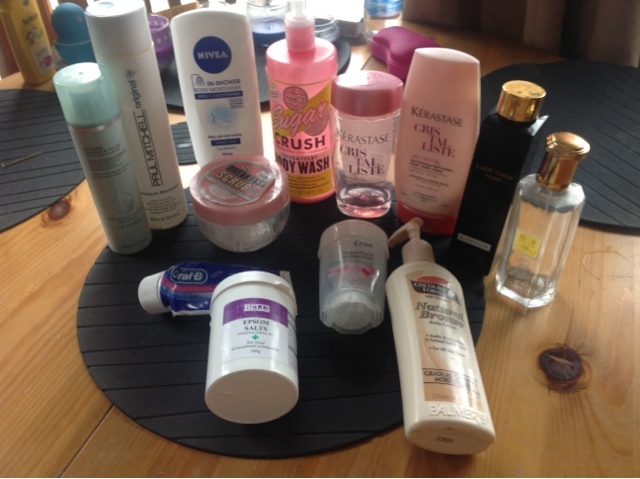 I will repurchase. Dove maximum protection in pomegranate and lemon. £4.99 in superdrug. Now I had never used one of these maximum protection deodorants but I have been converted. I work long shifts and a constantly running around and this keeps me nice and fresh all day even when I've done a 16hr day. 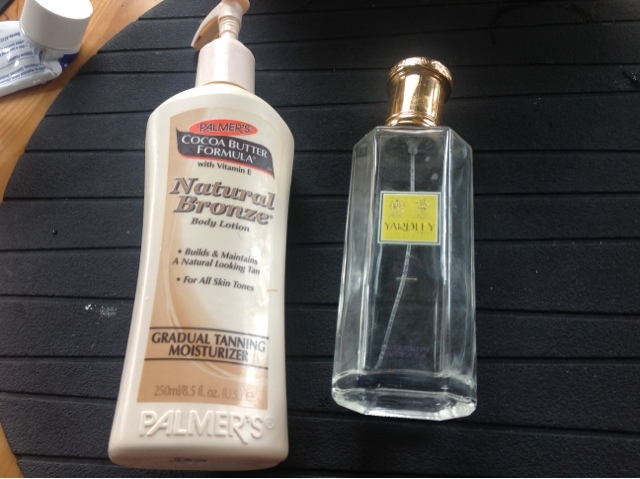 Palmers gradual tanning moisturiser 250ml for £5.35 from boots. As I have said before I love this gives you the I've just been on holiday glow with out the holiday. I've bought this again. Yardley royal daisy 125ml £14.95 from the yardley website. I bought this after I got a sample in my glossybox. I really was taken back by how much I really like this it was sweet and fresh although it didn't last very long so I wouldn't repurchase. After that very long blog I'm off for a cup of tea!